Distance learning is a terrific opportunity for students who either don't want to attend their courses in a traditional classroom setting or can't due to other job or family responsibilities. Whatever the reasons are for pursuing college through online classes, if this is your first time a very different kind of approach to learning awaits you. While the distance learning environment is developed to simulate actual physical classrooms, the virtual environment makes it rather unique. It is important for the online student to understand the self-discipline and ability to work independently are vital components to online education success. Before any student considers enrolling for an online course, it is wise to do an honest self-assessment and determine whether or not the discipline is possessed to study more independently than is required in the traditional classroom. Not only does this include the ability to work independently, but also includes being able to filter out other distractions and be able to keep up the class pace from the comforts of your own computer. To succeed as an online student it is important to be able to concentrate and not be sidetracked from other activity going on at home. This is the foremost consideration you need to be on top of before taking any online course. You don't have to be a computer expert to take classes online, but you do need to have basic navigation skills on both the hard drive and the Internet. You will also need to understand how to use file management and some software applications such as word processing, spreadsheets, slideshow presentations and other specialized software that may be required. This includes document management, with is comprised of creating, saving and retrieving documents. One of the best things you can do for yourself to help you succeed is to try and clear some work space for yourself. In addition to your desktop or laptop, you'll likely need some sort of textbook (or you may have an eBook where you can print out chapters) and a notebook to study from. It is difficult to work when you have disorganized space. Chances are you'll have a higher degree of success is if you have your own work space. 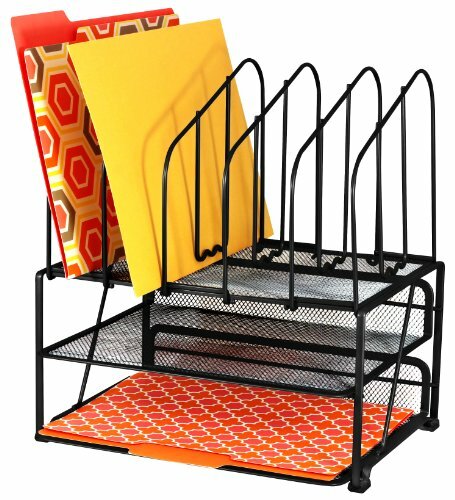 Ideally, a desk would work, but if this is not possible or feasible, then a shelf or other area where you can store your school supplies and books would work effectively. Setting up specific folders on your hard drive is another way to help you stay organized. You may want to copy/paste or download documents from your professors to study from and if you have designated folders for each class this helps you keep better track of your electronic documents. This also helps you to better keep track of assignments too. When I was taking online classes, I found setting up a folder for each course helped immensely. Possessing strong time management is important to online education success. When you work from home you'll be tempted with interruptions and you'll have to learn how to effectively balance a job and your family with your school work because your class attendance won't be taking place in a separate space. Using a planner and calendar can help make sure you make time for both your personal responsibilities and your school responsibilities. It also helps make sure you don't overextend yourself with your time. Online classes require a lot of self-discipline because you work independently and from home. As a result, it is almost a guarantee you'll have lots of interruptions or temptations to detract away from your studies. As you sit down to your computer to focus on studies, make sure you shut off email, messenger programs or social networking websites when you plan to attend class. If you need to take classes online for reasons that prevent you from going to campus, but have difficulty with self-discipline, sometimes it helps if you schedule a regular block of time aside. Treat this time as you would if you were taking on-campus courses. While you may not be physically on campus, it helps if you treat your time as if you were sitting in class. Turn off all distractions and let your family and/or friends no this time is "off limits" to you so you can get your work done. Distance learning gives you a lot of flexibility which you can use to your advantage. If you have a free weekend with nothing else on the calendar, most courses offer a bit of latitude where you can jump ahead and get extra work done which will relieve your next week's responsibilities. It works both ways, if you get crunched for time, you have a little more flexibility than you would have if you have regular class once or twice a week. Embrace this elasticity and learn to use it to your advantage. Pursuing an online education is a great chance for many students to attend college who otherwise wouldn't be or previously hadn't been able to earn a degree. According to the U.S. government statistics released in 2014, one in four students took an online class in 2012. 1 While the majority of students still tend to lean towards taking on-campus classes, online learning is here to stay. Many traditional classrooms are integrating Blackboard and/or other types of tools to use in the frame work of these courses. These are often referred to as "hybrid" classes. Some students are uncertain if an online course is for them. Before signing up for any type of distance learning it is a good idea to do a self-assessment to see if it's for you. This style of learning is not for everyone. An online questionnaire can help potential students determine if an online class (or degree) is a good fit. The key thing to remember when taking online classes (or hybrids) is that success is based around understanding what is expected and finding ways to be able to honor the commitment you've made with enrolling in these types of courses. I was relieved when I was able to take classes online as this enabled me to assist my sister in looking after my nephew while she worked. My top issues when it came to attending class online were computer crashes, having an instructor whose head wasn't in the clouds and understanding each classmates' time zone for group projects.